Stir in Leanne's Luscious Lime mix. Add sour cream to Lime mixture and stir well. Using mixer work's best. 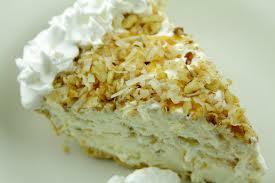 Add a ring of cool whip around outside of pie plate and place toasted coconut in center. Refrigerate until well set. Slice and Serve!